Moving helps reduce pressure on the spine, sends oxygen to your muscles, and increases blood flow to your brain. Movement is healthy and your desk chair should support your body as you move. Changes in posture help you stay comfortable and more attentive. Leap office chair’s Natural Glide System™ enables you to comfortably recline without straining your eyes, neck, or arms. Controls the precise amount of “push back” as you recline. Your body is unique. You need a desk chair that easily adjusts to fit you, your preferences, and how you work. The Leap WorkLounge, developed in conjunction with IDEO, combines elegant form, rich materials, and Leap technology. Research has shown that changing posture is the right thing to do for good health. So, if you need to push back and relax in a deep recline, sit up to keyboard, or even something in between, the Leap WorkLounge and Ottoman will provide you with exceptional comfort and support. When you recline, your upper spine moves backward and your lower spine arches forward. Each individual’s spine motion is unique. Even for people of identical size, age, and gender, each spine moves differently. Your lower back requires firm, constant support while your upper back requires more support as you recline. Vision and reach impact your posture. When you recline in traditional chairs, the distance between you and your work can increase, which in turn can strain your eyes, arms and neck. 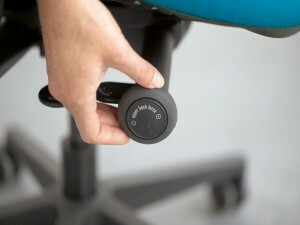 For more product details about Leap Chair, please visit steelcase.com.